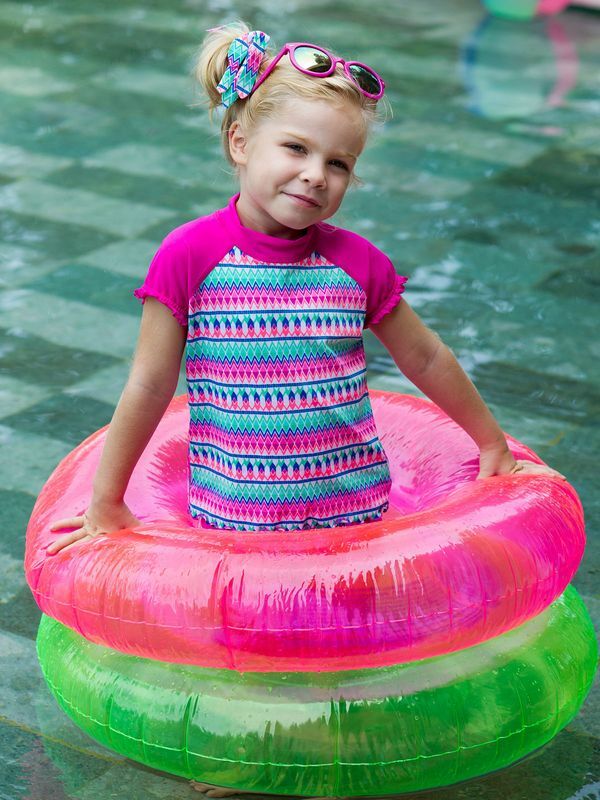 The Escargot Ocean Jewel Toddler Girls Sun Top is white with a horizontal zig zag pattern in various shades of pink, turquoise and purple and features hot pink short sleeves and collar. This sun top is designed to provide protection from the sun’s rays. Your little girl will love wearing this sun top to the beach.